Traffic was terrible that day. They were going to be late. Emma stared out the window deep in thought as Craig tried to maneuver the car to creep ahead an extra inch or two. Giving up on their usual route, Craig took a detour. Jersey City scrolled monotonously past the window, and then Emma saw it: the word “ADOPT” spray-painted on the side of a building. 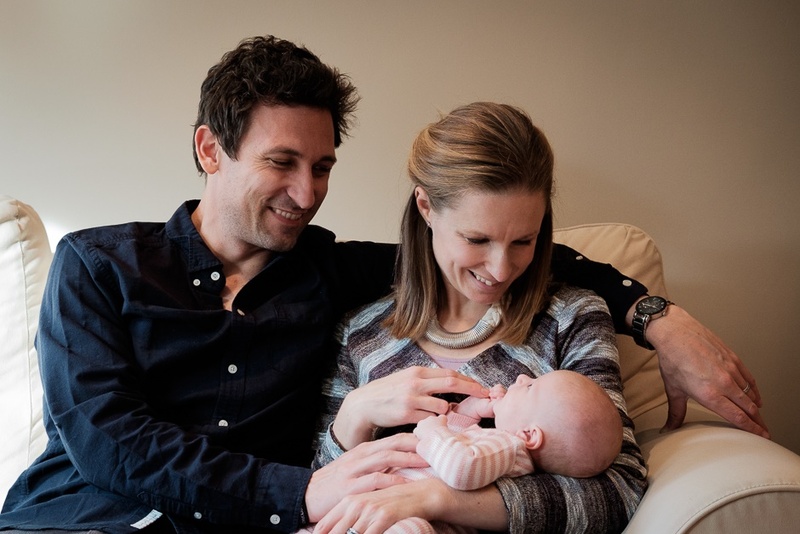 “We were driving to the clinic to start a cycle of IVF, and God’s literally showing us the word ‘ADOPT’ in big letters at the side of the road,” said Emma. “Neither of us had ever experienced anything like that before,” said Craig. Ever since Emma and Craig started dating, they knew they wanted to have a family. But after a couple years of trying, an unsuccessful fertility treatment and no answers from doctors as to why it wasn’t happening for them, Emma and Craig felt like that dream was farther away than ever. And then just as Emma and Craig were getting started on IVF, God started to make it clear that He might have a different plan for their family. Five months later, Emma and Craig had gone through all the paperwork and home study, and their profile was online with an open adoption agency. Within days they were contacted by a young woman who was seven months pregnant and interested in finding adoptive parents for her baby girl. Emma and Craig couldn’t believe how quickly it was all happening — as soon as they had opened their hearts to the idea of adoption, it felt like God had put all the pieces in place. They chose the name Savannah Grace for their baby girl. A few weeks later, on Mother’s Day, they got a call. The birth parents had changed their minds, and there would be no adoption. Months passed. Now and then, Emma would get a message from the adoption agency’s website from someone interested in their profile, but nothing ever came out of it. As she was lying in bed one day, a message popped up on Emma’s phone from the adoption agency — another potential match. Emma felt almost no emotion as she opened the message. And then she saw that name again: Savannah. There was a woman named Savannah who was 12 weeks pregnant and looking for adoptive parents for her baby. A few days later, Emma learned that her full name was Savannah Grace. “It all seemed so right that I remember thinking, ‘God, the first baby seemed like it was your plan. This really, really feels like your plan, like you are showing off. If this doesn’t work out, you are going to have to come up with something crazy spectacular next time,’ ” said Craig. After talking online with Savannah, Emma and Craig traveled to South Carolina to meet her in person. Not long after, they were invited to Georgia to meet her family and attend the gender reveal party. They were going to have a girl. That feeling of rightness and belonging continued throughout the pregnancy, and when Savannah gave birth Craig cut the cord, and the baby girl was passed to Emma for first skin-to-skin contact. 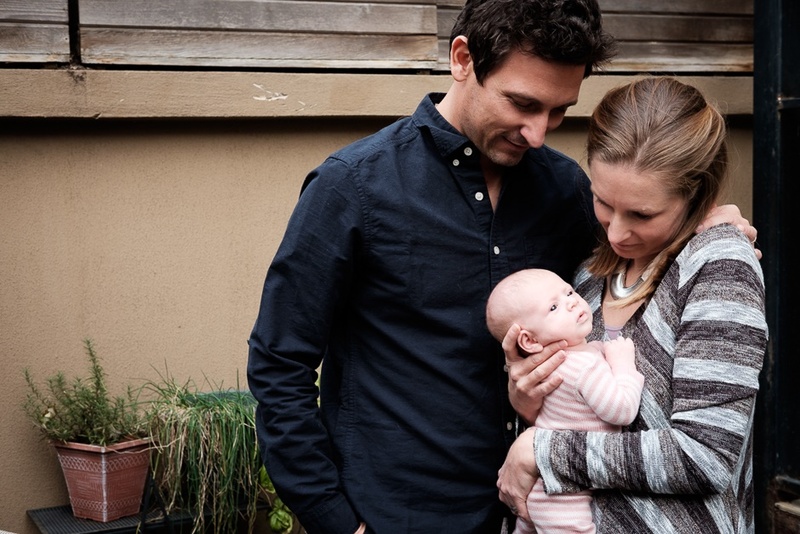 Emma and Craig named their baby girl Zoey, which means “life” in Greek. As for her middle name, they decided to hold onto Grace.